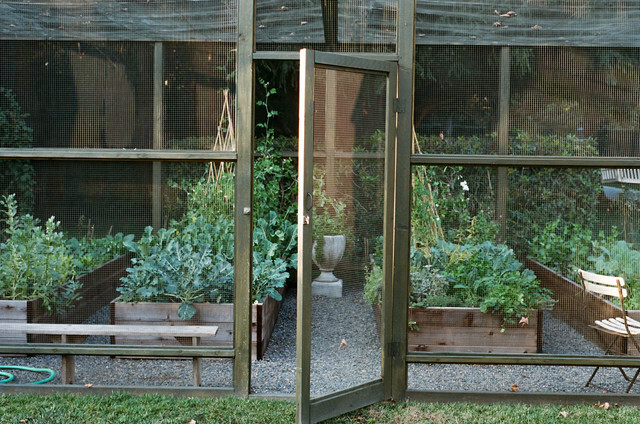 Garden enclosure complete with a door. Good ventilation. Peas can even vine up the metal mesh if you wish. My Houzz: An Abundant Rural Retreat in the Barossa Valley.